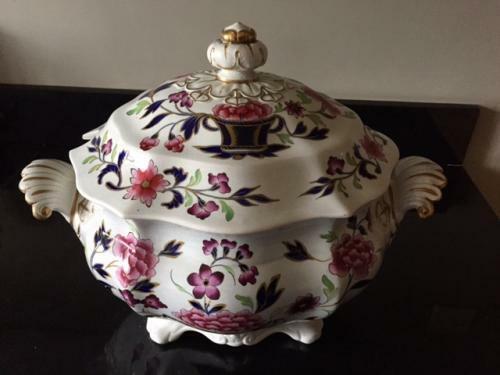 Fabulous Large Ironstone Tureen with lid. Wonderful shape and decoration. A real WOW piece, great colours and gold detailing. Lovely handles and finial. Overall condition is very good. The finial has had a rivet repair right through it but done well and not obvious at first sight. There is a minor small hairline crack in the tureen.